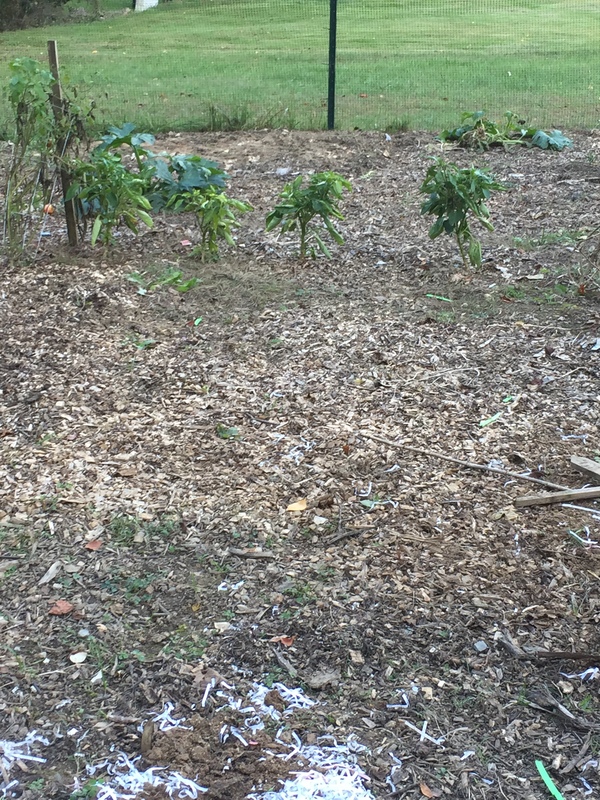 I pulled up most of the remaining plants. That’s always kinda sad to me because it means winter is almost here, and I’m not a big fan of winter. 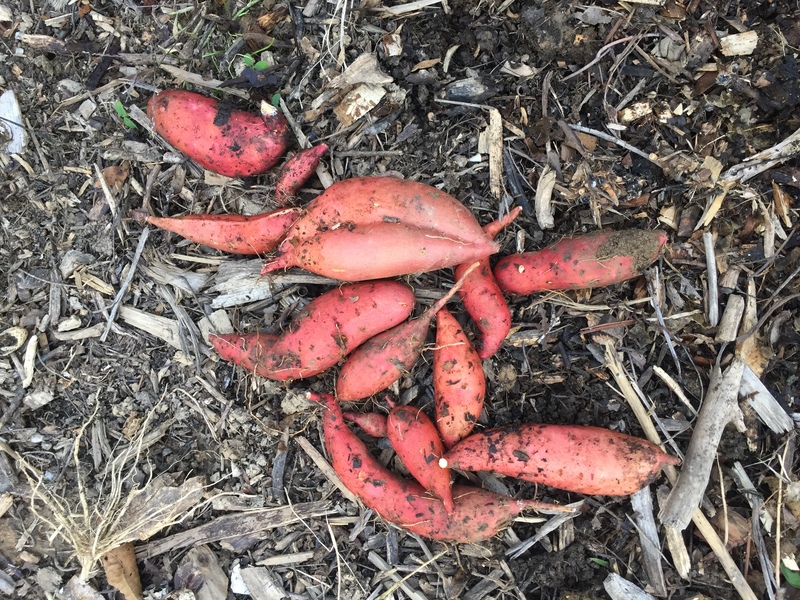 Then, I decided to pull up the sweet potatoes that I threw in the ground last minute this summer. I need to write a whole other post about that! 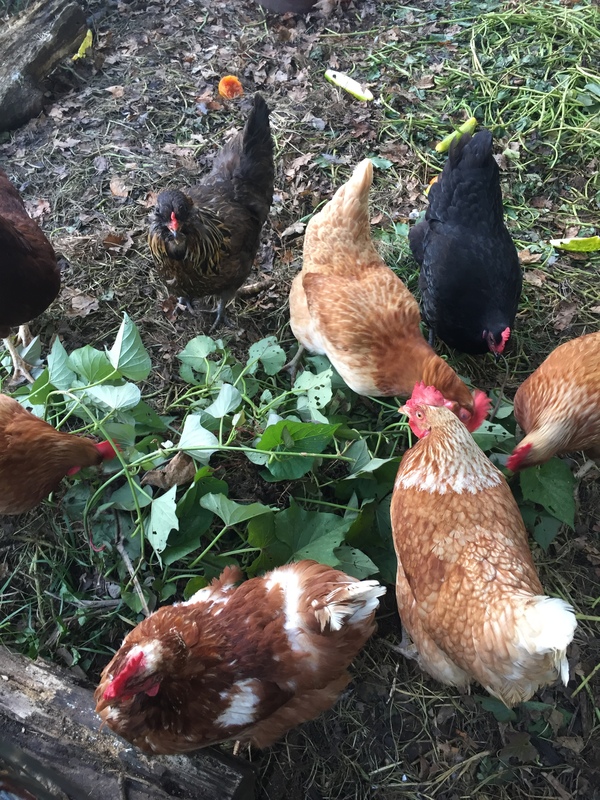 The hens like the sweet potato vines! 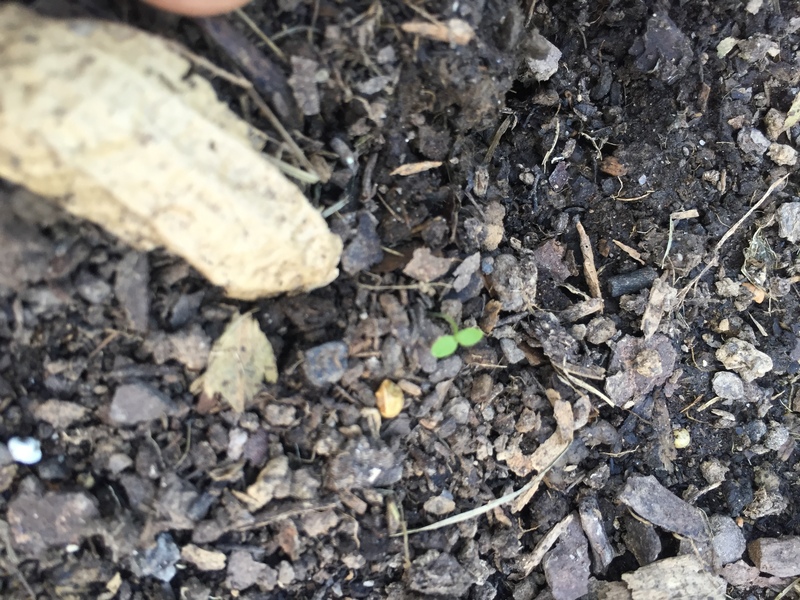 I planted some lettuce about a week ago, and I’m finally seeing sprouts. I don’t think they have enough time to grow, but we will see!! I’ve harvested over 10 pumpkins and I’m still surprised that more are giving their all to still grow! Lucky for us, we are still harvesting veggies! 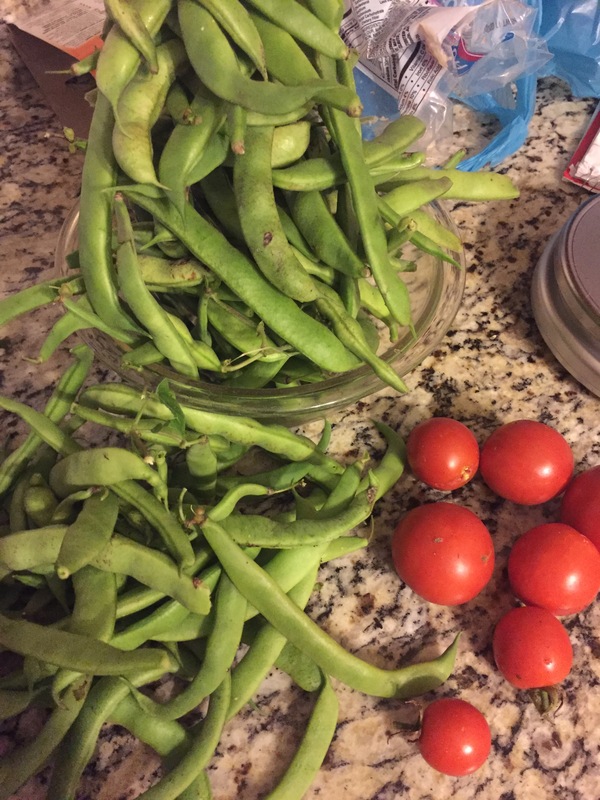 There were over 1 and a half pounds of green beans and a couple ounces of tomatoes! Yum!! Some of the harvest today. 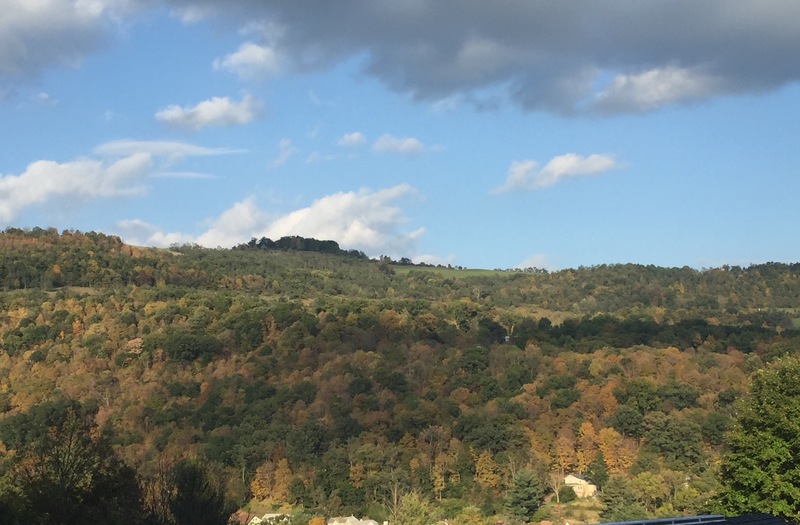 Fall is so beautiful here in the Appalachian mountains! Slowly the leaves are turning colors and snow is to ght around the corner. I’m hoping that lettuce will hold on, but it will be frosting soon! It has even snowed (several inches) here by the end of the month. Ugh! 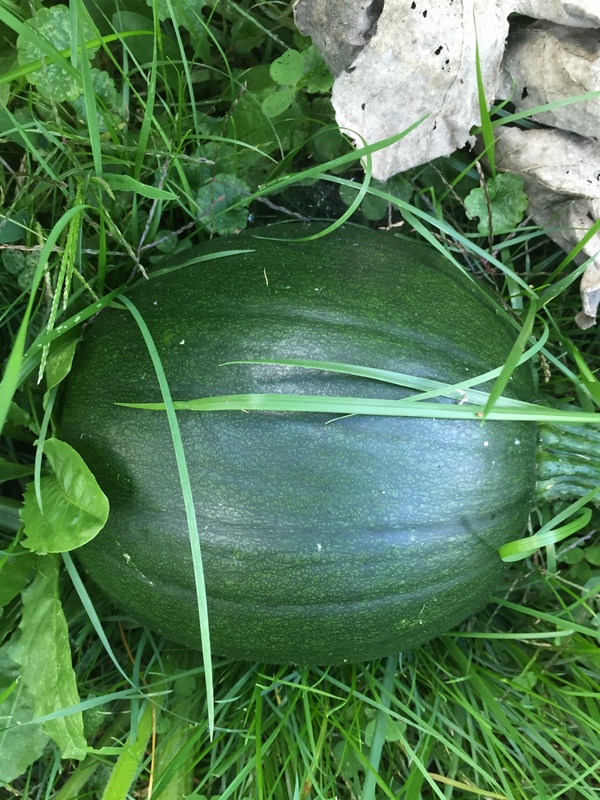 Did you plant pumpkins for pies or pumpkins for carving? Do you know how to make fresh pumpkin? I never have and was wondering if it was worth the extra work? We are excited about winter on FMR. Joss can’t wait to build a snowman! 🙂 I love your chickens! They are just regular carving pumpkins, but next year I’m going to try the sweet ones that can be preserved. I looked up making fresh pumpkin purée on Pinterest and it doesn’t look too hard. I’m just not sure if it would be a little runny.